This album Dog Eat Dog is really standing the test of time. The first 3 tracks are incredibly strong .... I always wondered why Good Friends was not a huge single. The beat on this album is so great. 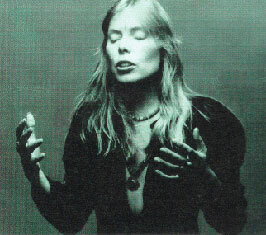 Three Great Stimulants still may be one of Joni's great mergings of lyric, melody and rhythm. Definitely some of the lyrics are even more true today than when first published! !